I am in the United States this week, and finding out how people here feel about the Presidential Election. Although the candidates have been selected through a primary process, in which the voters themselves have had the final word, they now find themselves deeply dissatisfied with the choice they have given themselves. Everybody is looking to the debate on Monday night, as a signal for the momentum of the campaign. The debate may enable Hillary Clinton to re establish the lead she won after the Conventions. Or it may confirm the more recent trend, of increasing support for Donald Trump. One influential person told me he thought more Americans will be watching the debate than have ever watched any event on television before. In past Presidential Elections, the first debate has also had a disproportionate influence. Under the Electoral College system, a narrow win in the popular vote can gain all the electors of that state for the winning candidate. The margin of victory does not matter. The winner takes all. Because of the way her support is spread throughout the country, this system gives Hillary Clinton the advantage. The system means that the candidates will tend to focus their appeal to certain “swing” states. One seasoned observer said to me that the election comes down to just four swing states, Pennsylvania, Ohio, Florida and North Carolina. He said that, to get a majority in the Electoral College, Hillary Clinton just needs to win one of these swing states, whereas Donald Trump must win all four of them. As a European, I have found the depth of the hostility, in some quarters, to Hillary Clinton surprising. Concrete evidence of specific wrongful acts is absent. But the negative feelings towards her are very strong. Her own campaign advertising against Trump is itself very negative, which feeds this. In the case of Donald Trump, it is his personality, rather than his policies, that attract attention. These trade policies of Donald Trump are a radical departure from the traditional policies of the Republican Party. They have been analysed by the Petersen Institute for International Economics (PIIE) in Washington DC, who say that , if implemented, they would ignite a trade war, because retaliatory tariffs would be imposed on US exports. They say that, if elected, President Trump could implement these policies even without the approval of Congress. PIEE have calculated which states within the US would lose most from the trade war a victorious President Trump might initiate. Washington State, home of Boeing, tops the list, with a loss of 5% of all jobs. Other big losers would include California, Connecticut, and Illinois. But two “must win” states for Trump, Pennsylvania and Texas, also stand to lose more jobs than most, if his policies lead to a trade war. Support for Donald Trump, and for his anti trade policies, derive from an instinct that many Americans have, that globalisation (the free movement of foods, services and money around the world) is reducing their personal job security, and rendering their skills redundant. In the 1990’s, when world trade was growing at 5% a year, and everyone’s income was rising, Americans were willing to put up with the disruption and uncertainty brought by the opening up of markets. Now, with the emergency caused by the banking crisis receding, and world trade growing at only 2%, more people are willing to take the risk of voting for a radical anti trade candidate, like Donald Trump. A similar willingness to take big risks, to make a point, was evident in the 52% vote for Brexit in the UK. Donald Trump’s policy of making the allies of the US pay more for their own defence also strikes a chord with many Americans. While he wants to “make America Great again”, Trump does not believe the US should pay, as much as it does at present, for other countries’ defence. This explains why some East European countries are pressing for the EU to take a bigger role in defence. Ireland, as an EU member, will have to take account of these trends. Trump, who is spending a lot less on his campaign than Clinton is, is also tapping into a dissatisfaction among voters with the disproportionate role that money and fundraising play in US politics. From the moment he or she is elected, a new member of Congress must spent three times as much time, every day, on the phone, raising money for the next election, as he or she does on legislative business or in meeting ordinary constituents. All this explains why this is an angry election, on both sides of the divide. 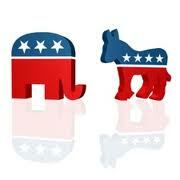 AFTER THE DEBATE….WHERE STANDS THE RACE?